This will be implemented starting 15 April onwards. Don't forget to reload your Touch 'n Go card. 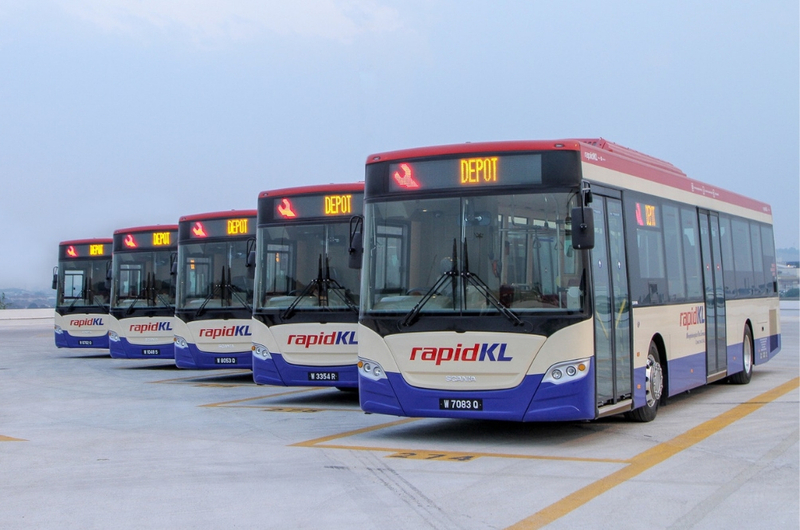 If you're a frequent user of RapidKL buses, your pockets are about to get a whole lot lighter because your favourite public transportation is going 100 per cent cashless! 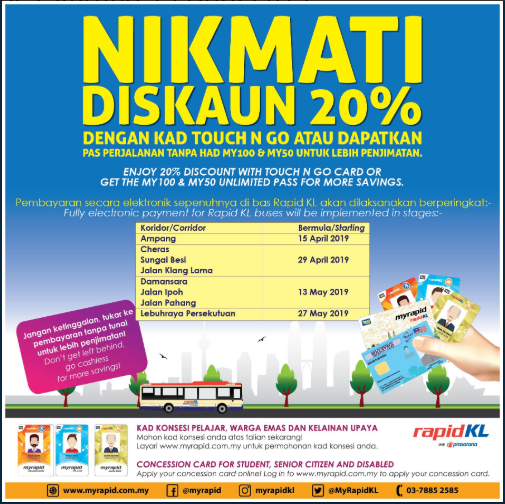 Starting 15 April, RapidKL will be introducing a fully electronic payment system, so all you need is a Touch 'n Go card and you will be able to hitch a ride with no physical cash required. But, of course, your Touch 'n Go cards need to be loaded beforehand. 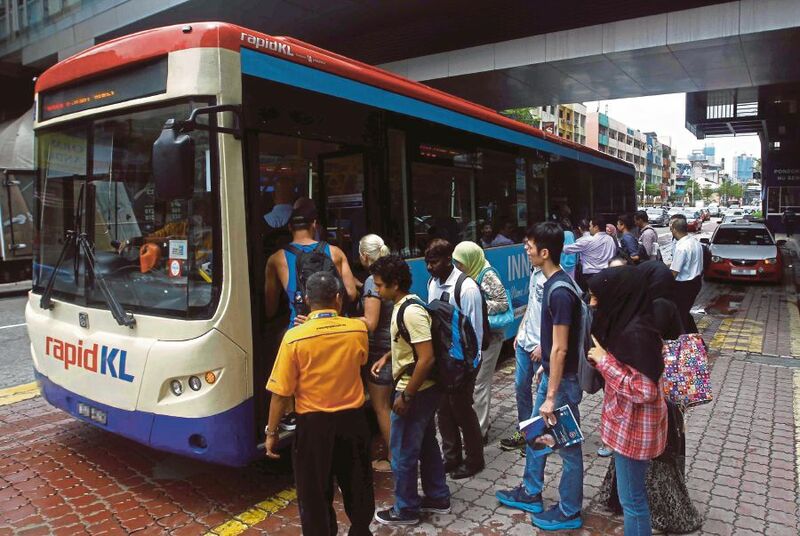 According to Lowyat.net, this is similar to the company's MRT feeder buses that had gone cashless as well earlier this year. This cashless payment system is much faster, more secure and convenient way of paying your bus fares because all you have to do is simply tap your card on the reader when boarding and leaving the bus. This saves you a lot of time in your daily commute, doesn't it? However, it is important to check and make sure that you have sufficient money in your card. Otherwise, you won't be able to ride the bus until you have reloaded enough cash. But if you don't even have a cashless card to begin with before boarding, you can purchase a brand new Touch n' Go card onboard the bus. The fully eletronic payment system will be implemented in stages, beginning with the Ampang Corridor. 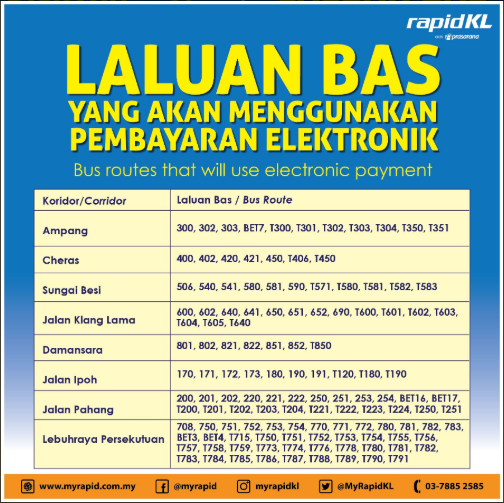 Alternatively, you may also refer to MyRapid's official website for more details on the new cashless system.